With so much the two of us want to accomplish and DO in life — at our jobs, at home, in our family, with our passion mission here with our books and blog — it can get easy to find ourselves scatter-brained, tired, and clawing around like we’ve just been in the spin cycle! So, when we’ve spun around for awhile, we start to realize it’s time for a fresh start. Our motto: if your head is spinning, first things first: get back to you! Get to bed early tonight. Go for a walk in nature to clear your head. Take that down time that you need. But how do you keep that fresh start going in a way that moves you forward? Well, for us, we’ve found it helpful to have reminders and small tasks each day that help us mindfully stay on course. 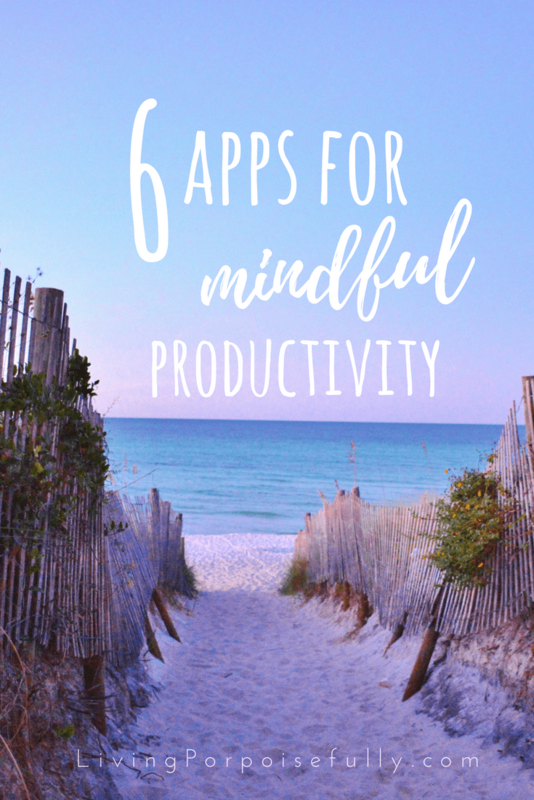 So, we thought we’d share some apps that we’ve used to help get us clear, motivated, and boost our progress in a mindful way. We hope that they might help you do the same! Want to aim for overall balance (and sleep better too)? “Calm” has a treasure chest full of tools: all sorts of meditation collections for stress, gratitude, focus, sleep, and calm. It’s amazing what just minutes a day of focused downtime can do! They even have a selection of “less guidance” sessions for when you prefer background sounds over instruction. Make it a part of your daily routine and you’ll likely see things come into focus more and more each day. Focusing on “micro-actions”, this app helps you reach goals with little things each day, distinguish between the urgent vs. important activities in your life (so helpful), and has tons of action packs to help you focus and reach your goals for positive change. Yes, please! After you take stock of your life balance with this app, you can create new goals for love & relationships, finances, health & fitness, personal development, fun & recreation, family, social, and/or career. You can come up with your own goals, or choose from some that are already put together that will keep you motivated with daily plans. Don’t bite off more than you can chew, and go for what’s most important to you right now! Want to eat better in your fresh start? This app helps keep you visually and simply keep track of your eats for the day, paving the way for boosted health with a simple “on-path” or “off-path” rating. You take a quick photo of your meal, decide if it’s “on-path” or “off-path” and there’s no calorie counting. It simplifies food journaling and makes for more mindful food choices for sure! Ever go several days and then forget what it was you had started trying to get in the habit of? A habit builder, this app helps journal your habits, keep track of progress, and make daily efforts more consistent. Notifications help remind you of your daily actions, and progress is shown in a graph. If you’re wanting to add a habit to your daily routine, this is a good one. Another habit builder, “Productive” helps you keep track of your habits and actually stick with them. There are reminders, stats, and streaks to keep you motivated. Similar to “Habitify,” it’s a great elbow nudge to help you stay true to your goals. Above all, get down to what really matters to you as you make your fresh start towards mindful productivity. Don’t put too much on yourself either — start small and commit to it. You can do it! Enter your email to get our posts sent to you! Wonderful post.Thank you for this.